After running marathons in 33 states in 19 years, I hadn’t run one in a new state in all of 2018. So for the new year, I looked for any I could do during its first few months. 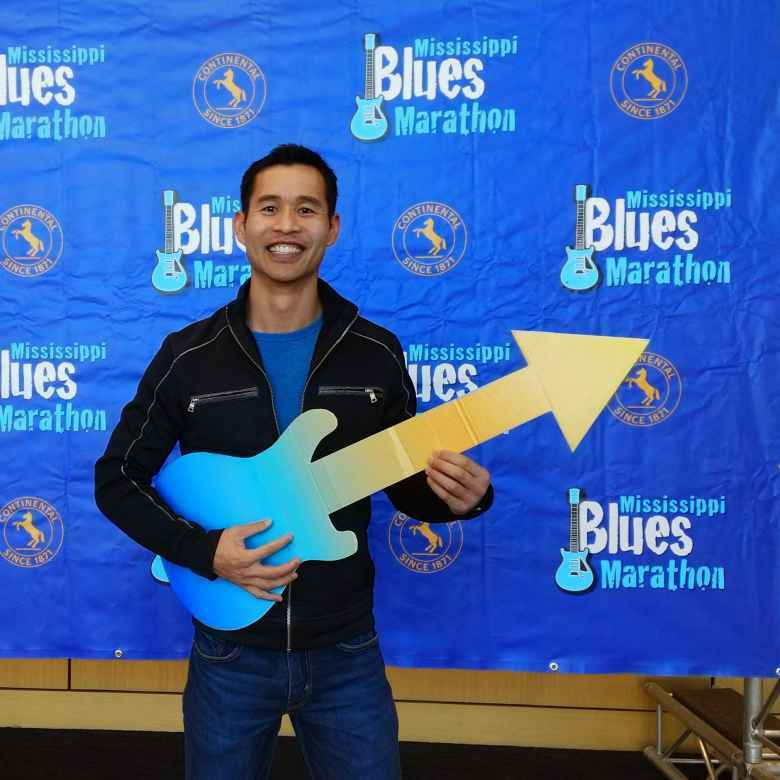 Turns out there were hardly to choose from since there are few winter marathons in the cold northeast U.S., and I had already done every continental state west of the Mississippi River and just about every one in the south. One exception to the latter was the state of Mississippi. This was also one of the few remaining states I had not even stepped foot on. 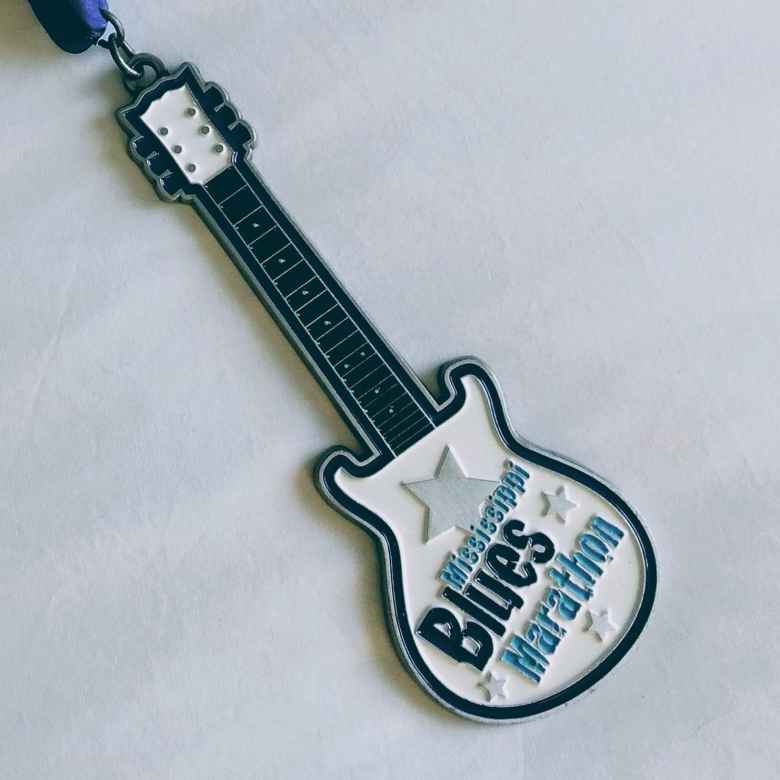 So I signed up for the Mississippi Blues Marathon, booked at $29 direct flight to Jackson on Frontier Airlines, and then started listening to classic blues songs by the likes of BB King to get me in the mood to run 26.2 miles through the Magnolia State. On race morning, I downed two bananas, two chewy granola bars, and some water at the Holiday Inn before driving a short distance to downtown. 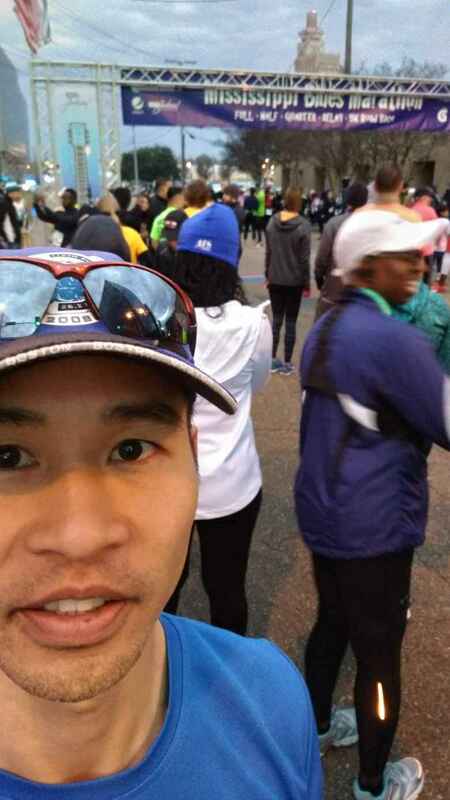 There was ample parking near the start line and instead of leaving warm-up clothes at a bag drop, it was easy to leave them at the car a mere block away shortly before the Star-Spangled Banner was played. In deference to Mississippi’s blues root, a musician strummed the national anthem on an electric guitar. Since I was looking at this marathon as more like an early-season training run than an all-out effort, I lined up about 10 rows back. This would prevent a jackrabbit start as people in front would help impede rapid forward progress. That tactic must have worked as Mile 1 passed in 8:13—a manageable warm-up. For 13 of the next 15 miles, mile splits were under eight minutes per mile. Considering the course, I was quite pleased with The course was constantly going up and down, up and down—with no hills particularly long or steep, but also with only short flat sections to interrupt them. It was roughly Mile 18 when the legs were starting to have cramps. First, it was the left calf. Then, both quadriceps. Fortunately, the cramping would only come and go, on and off every five minutes like a like switch. Fortunately, there were friendly volunteers and policemen who were manning key turns and intersections. There were a couple of times when I would see runners rounding a corner in the distance and I’d start bee-lining towards them, only for someone to say, “no, go left! Left!” until I got the right idea. I kept looking at the Garmin to confirm my pace was not slowing to sloth speed. Meanwhile, the accurately placed mile markers on the road were constantly reminding me of how far the feet had traveled, although I tried to imagine there were still many more miles to go (like in an ultra) to fool the body into not going into “almost there” shutdown mode. By the last mile it was apparent my time was going to be much better than my pre-race expectations. It looked like I would finish under 3:40! For good measure I picked up the pace the best I could the final quarter-mile. The verdict when stepping over the finishing mat and clicking off the Garmin: 3:36:05. The cool—but not freezing—weather definitely helped with the effort. 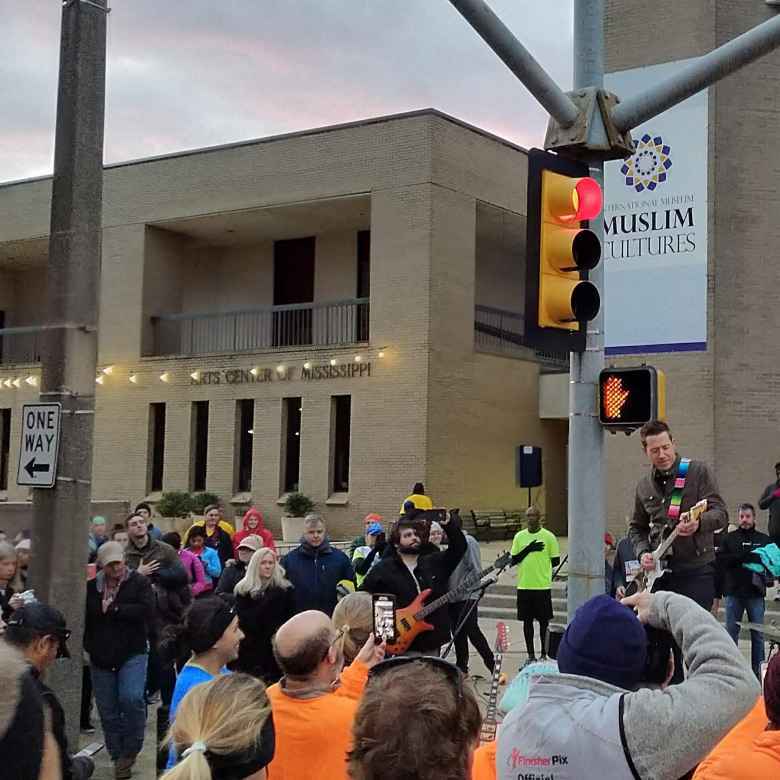 So did the cheering spectators, helpful volunteers and blues-playing bands along the course, which included a mix of roads going through commercial zones and classic southern neighborhoods with lots of trees and porch-bearing homes. 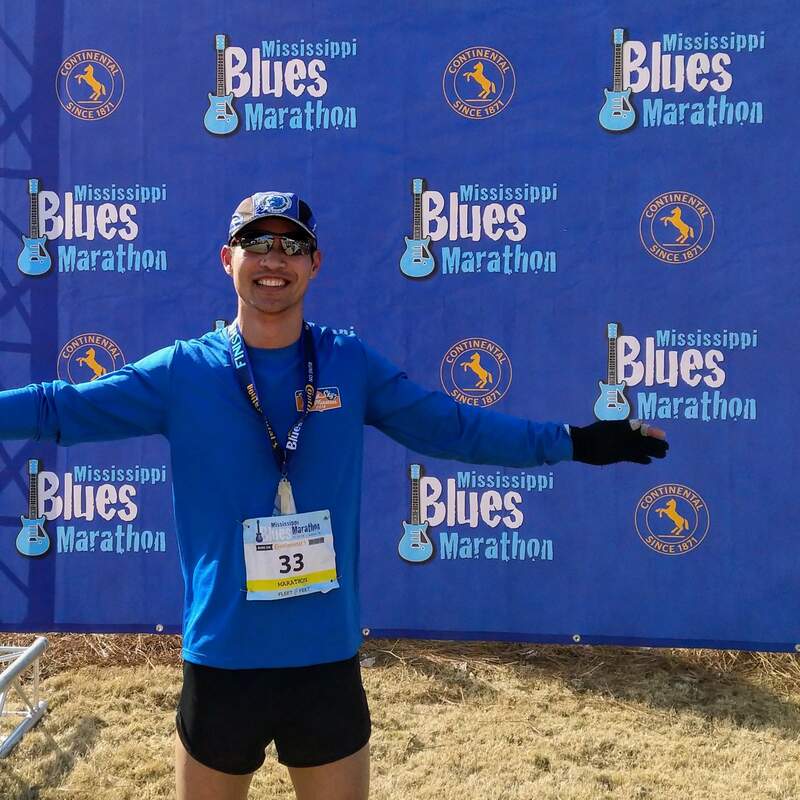 Sp despite being one of the harder marathons I’ve ever done, this race in the Magnolia State was one of my favorite ones. 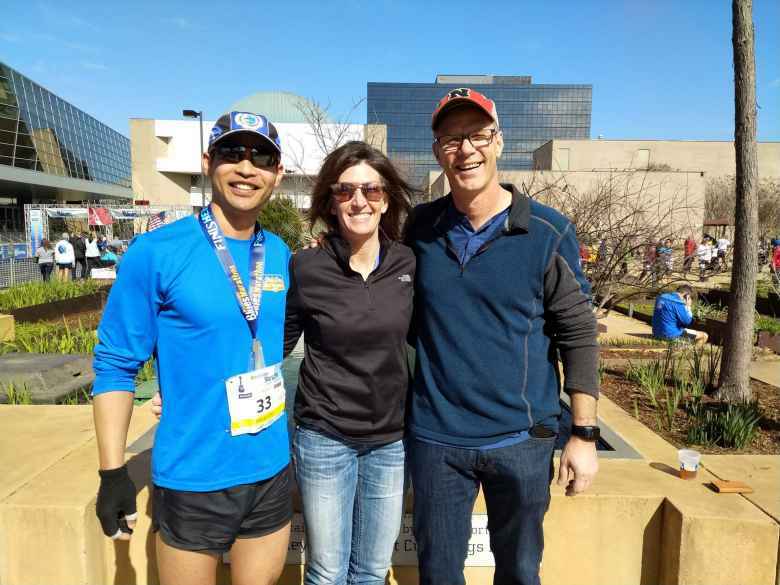 After the race, a gentleman and his significant other named Darrin and Ashley introduced himself after recognizing the Blue Sky Trail Marathon shirt I was wearing. 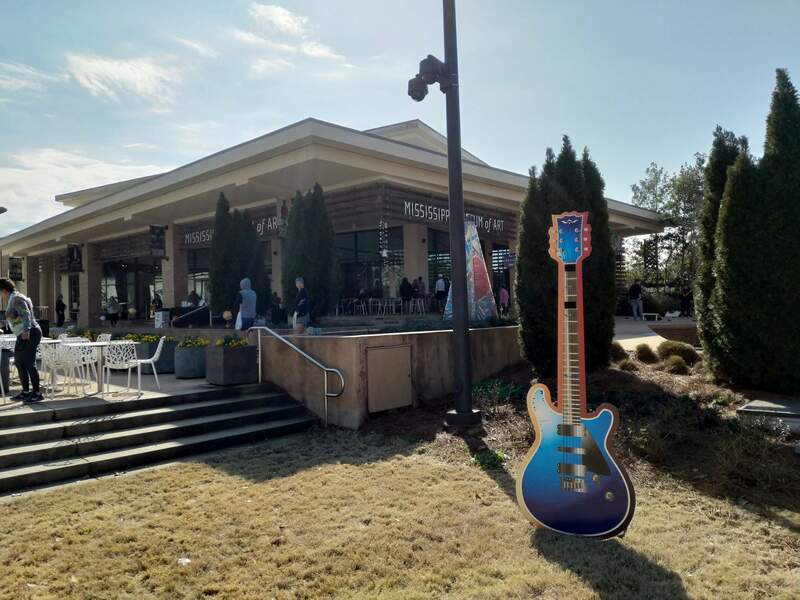 Apparently, they lived in Fort Collins too, I have met Fort Collinsers while traveling in Panama City; Cancun, Mexico, and now Jackson, Mississippi. Small world!